Nautical is our theme today. This shelf offers fine decoys by local carvers such as Bryon Bodt and Steiner Pierce. Beautiful boat models with several by Tony Vincenti – yes, another local. 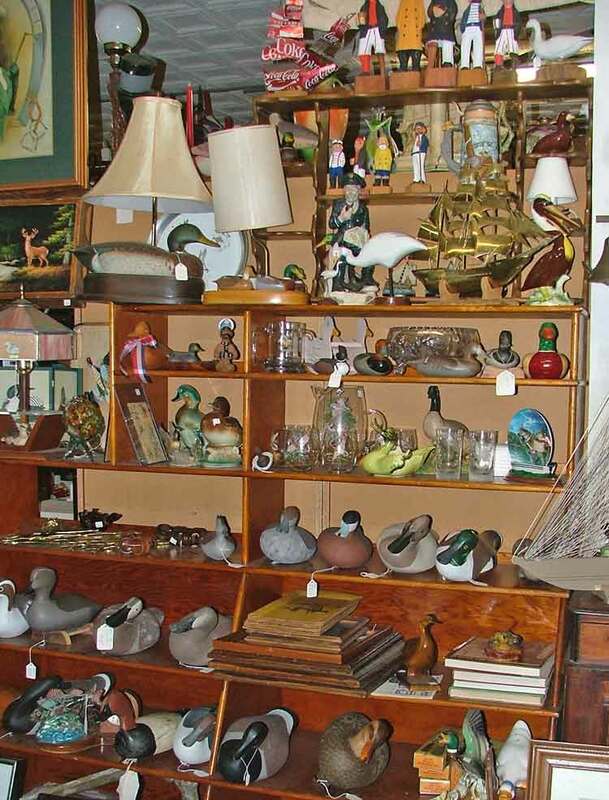 Plenty of various nautical items like lamps with a duck base, various seabirds, mugs and glasses, and a wonderful selection of “Old Salts of the Sea” figures. Below are two beautiful sailboat models by Tony Vincenti. There’s is another large sailboat by Tony that is not in the photos. 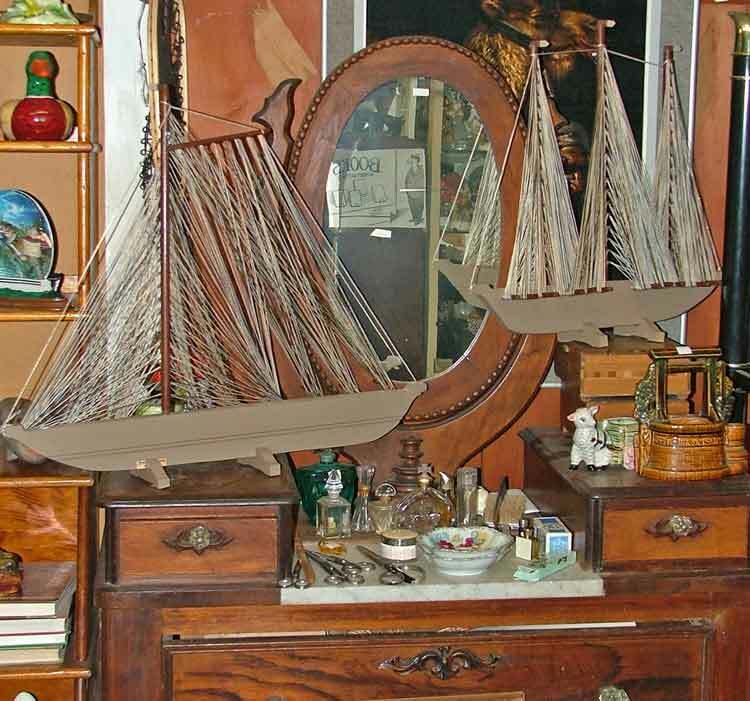 These beautiful boats sit on a Civil War Era dresser, walnut with a marble top and oval mirror. It’s an exquisite piece. As always, we encourage you to stop in and browse. Think we don’t have anything you need or want? We encourage you to check the category 44 Days of Gifts or just browse the Blog. We’re pretty sure you’ll be surprised! And on that note, we’ll be watchin’ for ya!